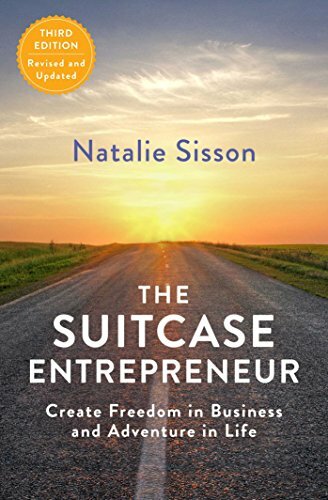 Now in its third edition, The Suitcase Entrepreneur teaches readers how to package and sell their skills to earn enough money to be able to work and live anywhere, build a profitable online business, and live life on their own terms. With new material pertinent to today’s business world, readers will receive the blueprint to create their ideal lifestyle and become their own digital nomad. 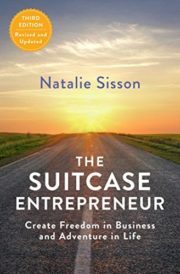 After eight years of working in the soul-crushing bureaucracy of the corporate world, Natalie Sisson quit her high-paying job and moved to Canada, started a blog, and cofounded a technology company. In just eighteen months she learned how to build an online platform from scratch, and then left to start her own business—which involved visiting Argentina to eat empanadas, play Ultimate Frisbee, and launch her first digital product. After five years, she now runs a six-figure business from her laptop, while living out of a suitcase and teaching entrepreneurs worldwide how to build a business and lifestyle they love. In The Suitcase Entrepreneur you’ll learn how to establish your business online, reach a global audience, and build a virtual team to give you more free time, money, and independence. With a new introduction, as well as updated resources and information, this practical guide uncovers the three key stages of creating a self-sufficient business and how to become a successful digital nomad and live life on your own terms.